Today begins the three-day Mid-Autumn Festival (Simplified Chinese: 中秋节, Vietnamese: tết Trung Thu, Korean: 추석), a harvest festival celebrated by ethnic Chinese, Korean, and Vietnamese people worldwide. The festival begins on the 15th day of the 8th month of the lunar calendar, corresponding to a date in late September or early October in the Gregorian calendar that ushers in the full moon. It is also a public holiday in Taiwan, and in Hong Kong. The full moon is actually tomorrow (16th ) in Europe and the day after (17th ) in Asia. Europeans have not cornered the market on nonsense spouted about the ancient “origins” of calendar customs; Asians have their fair share too. 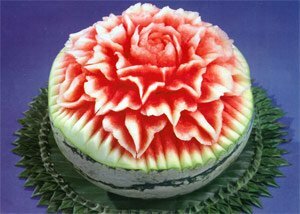 In the case of Mid-Autumn Festival in China there is a degree of legitimacy to the notion that it is an ancient festival, but only a degree. The Chinese have celebrated the harvest during the autumn full moon since the Shang Dynasty (c. 16th to 10th century BCE). What this festival looked like is anyone’s guess. Morris Berkowitz, who studied the Hakka people during the 1960s, theorizes that the harvest celebration originally began with worshiping Mountain Gods after the harvest was completed. Supposedly, for the Baiyue peoples, the harvest time commemorated the dragon who brought rain for the crops. Both are speculations based on little evidence. The celebration as a festival did not start to gain popularity until the early Tang Dynasty (618–907 CE). 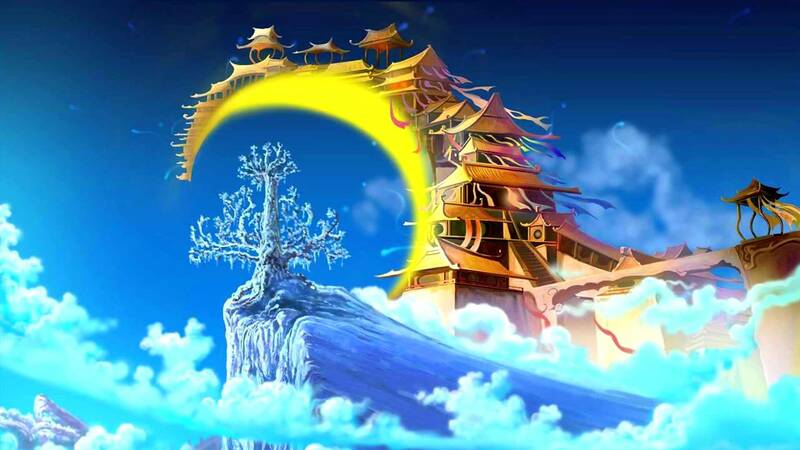 One legend says that Emperor Xuanzong of Tang started to hold formal celebrations in his palace after having explored the Moon-Palace (that is, he visited the moon). The term mid-autumn (中秋) first appeared in Rites of Zhou, a written collection of rituals of the Western Zhou Dynasty (1046–771 BCE). 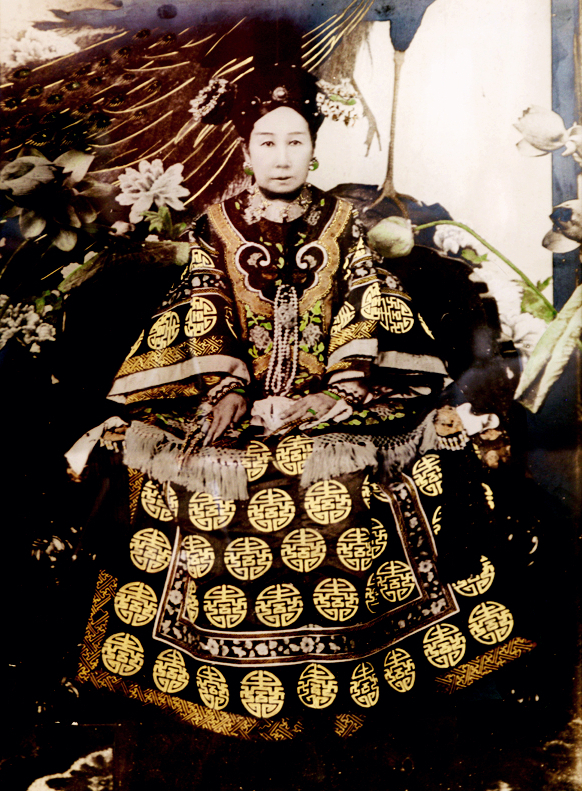 Empress Dowager Cixi (late 19th century) enjoyed celebrating Mid-Autumn Festival so much that she would spend the period between the thirteenth and seventeenth day of the eighth month staging elaborate rituals. An important part of the festival celebration was moon worship, now softened to moon symbolism. 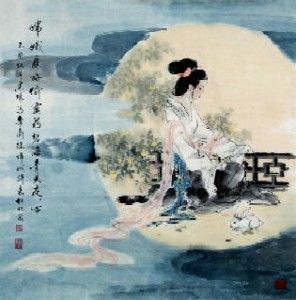 The ancient Chinese believed in rejuvenation being associated with the moon and water, and connected this concept to the menstruation of women, calling it “monthly water.” (which is pretty much what “menstruate” means without the “water” bit). 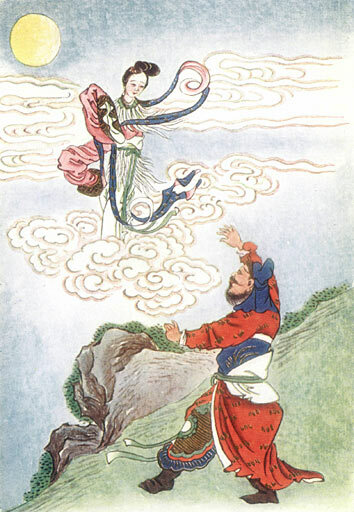 The Zhuang people, for example, have an ancient fable saying the sun and moon are a couple and the stars are their children, and when the moon is pregnant, it becomes round, and then becomes crescent after giving birth to a child. These stories made it popular among women to give offerings to the moon on this evening. Customs such as this one are rare in China now. In the ancient past, there was a hero named Hou Yi who was excellent at archery. His wife was Chang’e. One year, ten suns rose in the sky together, causing great disaster to people. Yi shot down nine of the suns and left only one to provide light. An immortal admired Yi and sent him the elixir of immortality. Yi did not want to leave Chang’e and be immortal without her, so he let Chang’e keep the elixir. But Peng Meng, one of his apprentices, knew this secret. So, on the 15th of the 8th month in the lunar calendar, when Yi went hunting, Peng Meng broke into Yi’s house and forced Chang’e to give the elixir to him. Chang’e refused to do so. Instead, she swallowed it and flew into the sky. Since she loved her husband very much and hoped to live nearby, she chose the moon for her residence. When Yi came back and learned what had happened, he felt so sad that he displayed the fruits and cakes Chang’e liked in his garden and gave sacrifices to his wife. People soon learned about these activities, and since they also were sympathetic to Chang’e they participated in these sacrifices with Yi. A notable part of celebrating the holiday is the carrying of brightly lit lanterns, lighting lanterns on towers, or floating sky lanterns. Another tradition involving lanterns is to write riddles on them and have other people try to guess the answers. It is difficult to discern the original purpose of lanterns in connection to the festival, but it is certain that lanterns were not used in conjunction with moon-worship prior to the Tang Dynasty. 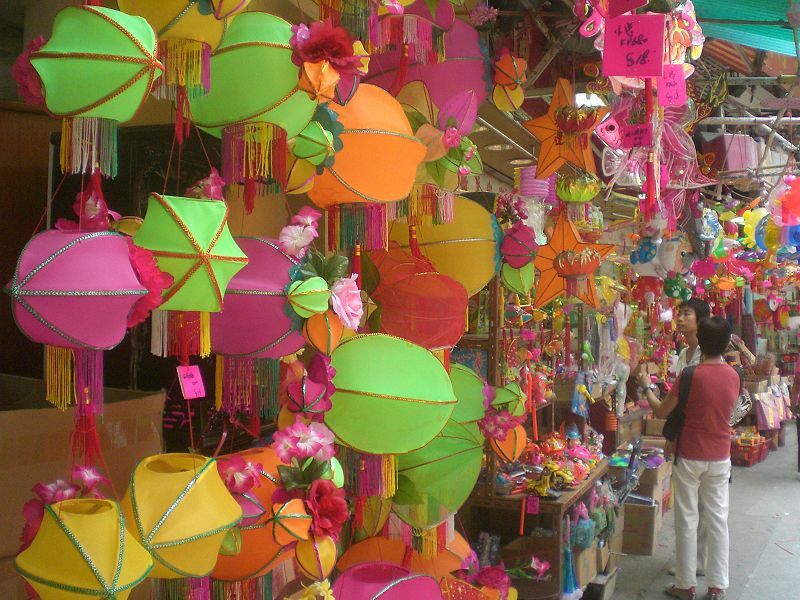 Traditionally, the lantern has been used to symbolize fertility, and functioned mainly as a toy and decoration. But today the lantern has come to symbolize the festival itself. 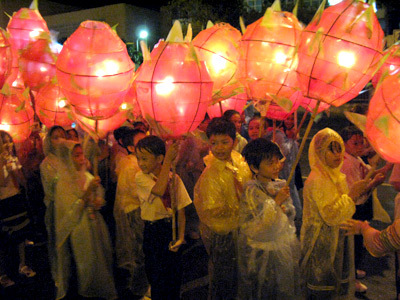 In Vietnam, children participate in parades in the dark under the full moon with lanterns of various forms, shapes, and colors. Traditionally, lanterns signified the wish for the sun’s light and warmth to return after winter. In addition to carrying lanterns, the children also wore masks. Elaborate masks were made of papier-mâché, though it is more common to find masks made of plastic nowadays. Handcrafted shadow lanterns were an important part of Mid-Autumn displays since the 12th century Ly dynasty, often of historical figures from Vietnamese history. 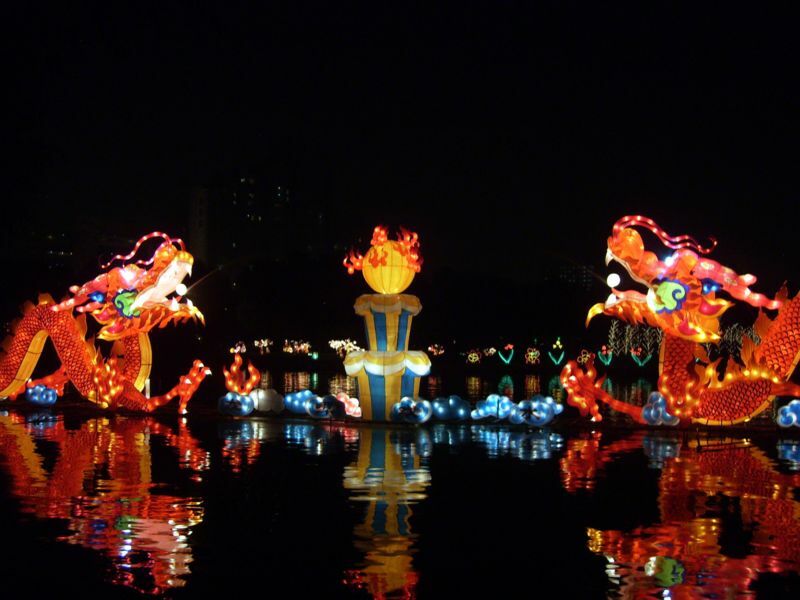 Handcrafted lantern-making has declined in modern times due to the availability of mass-produced plastic lanterns, which often depict internationally recognized characters such as Pokémon’s Pikachu, Disney characters, SpongeBob SquarePants and Hello Kitty. Making and sharing mooncakes is one of the hallmark traditions of this festival. In Chinese culture, a round shape symbolizes completeness and reunion. Thus, the sharing and eating of round mooncakes among family members during the week of the festival signify the completeness and unity of families. In some areas of China, there is a tradition of making mooncakes during the night of the Mid-Autumn Festival. The senior person in that household cuts the mooncakes into pieces and distribute them to each family member, signifying family reunion. 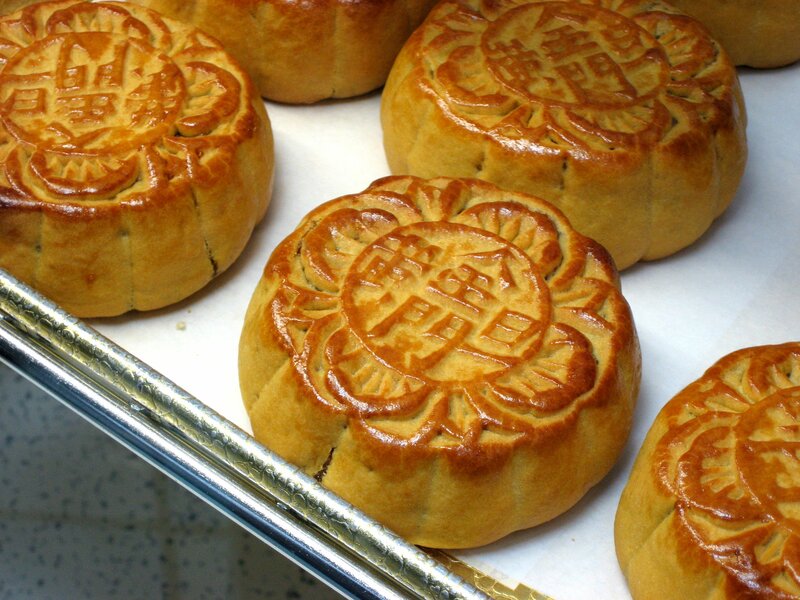 In modern times, however, making mooncakes at home has given way to the more popular custom of giving mooncakes to family members, although the meaning of maintaining familial unity remains. 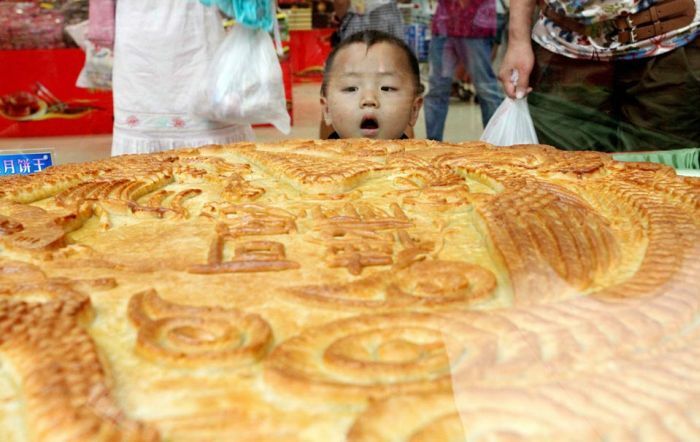 Although typical mooncakes can be around a few inches in diameter, imperial chefs have made some as large as several feet in diameter, with its surface impressed with designs of Chang’e, cassia trees, or the Moon-Palace. One tradition is to pile 13 mooncakes on top of each other to mimic a pagoda, the number 13 being chosen to represent the 13 months in a full lunar year. According to Chinese folklore, a Turpan businessman offered cakes to Emperor Taizong of Tang in his victory against the Xiongnu on the 15th day of the 8th lunar month. 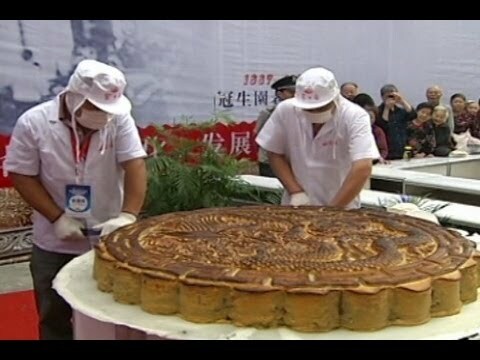 Taizong took the round cakes and pointed to the moon with a smile, saying, “I’d like to invite the toad to enjoy the hú (胡) cake.” After sharing the cakes with his ministers, the custom of eating these hú cakes spread throughout the country. Eventually these became known as mooncakes. 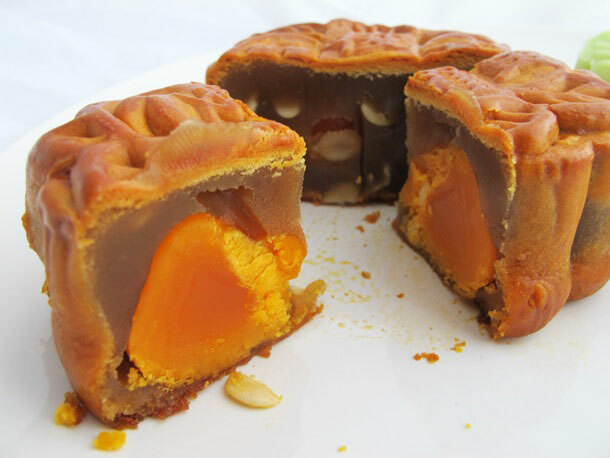 Although the legend explains the beginnings of mooncake-giving, its popularity and ties to the festival began during the Song Dynasty (906–1279 CE). Another popular legend concerns the Han Chinese’s uprising against the ruling Mongols at the end of the Yuan dynasty (1280–1368 CE), in which the Han Chinese used traditional mooncakes to conceal the message that they were to rebel on Mid-Autumn Day. Because of strict controls on Han Chinese families imposed by the Mongols in which only 1 out of every 10 households was allowed to own a knife guarded by a Mongolian guard, this coordinated message was important to gather as many available weapons as possible. Food offerings made to deities were placed on an altar set up in the courtyard, including apples, pears, peaches, grapes, pomegranates, melons, oranges, and pomelos. One of the first decorations purchased for the celebration table was a clay statue of the Jade Rabbit. In Chinese folklore, the Jade Rabbit was an animal that lived on the moon and accompanied Chang’e. Offerings of soy beans and cockscomb flowers were made to the Jade Rabbit. 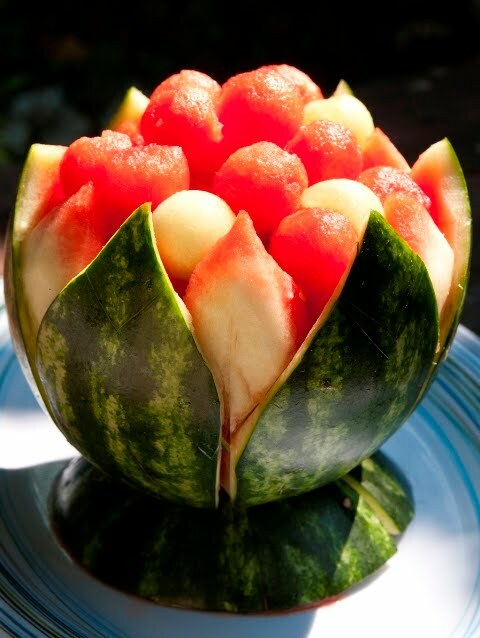 Nowadays, in southern China, people will also eat some seasonal fruit that may differ in different district but carrying the same meaning of blessing. I gave a pretty complete description of mooncakes here — http://www.bookofdaystales.com/giordano-bruno-crater/ No need to repeat myself. Most Chinese buy them rather than make them these days. You’ll find them on sale everywhere from regular markets to street stalls. For today’s celebration I recommend dragon fruit also known as pitaya. 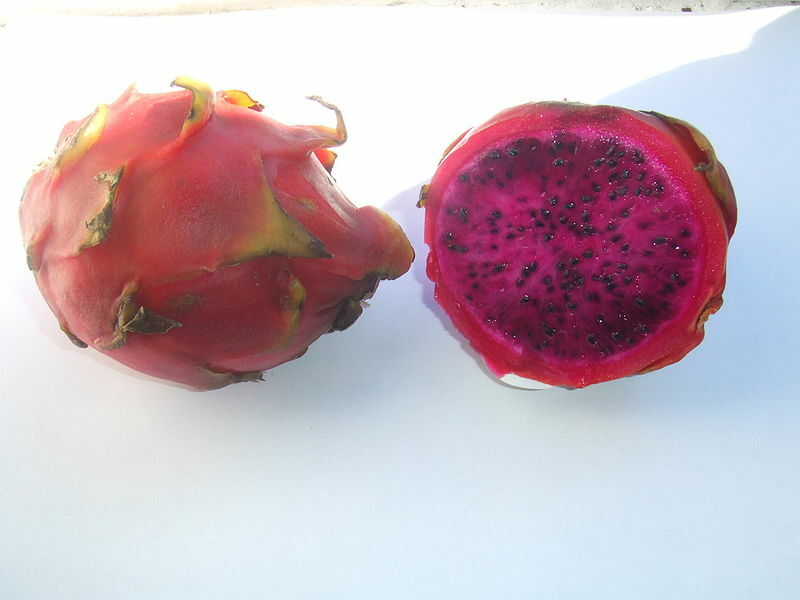 Hylocereus undatus (Pitaya blanca or white-fleshed pitaya) has red-skinned fruit with white flesh. 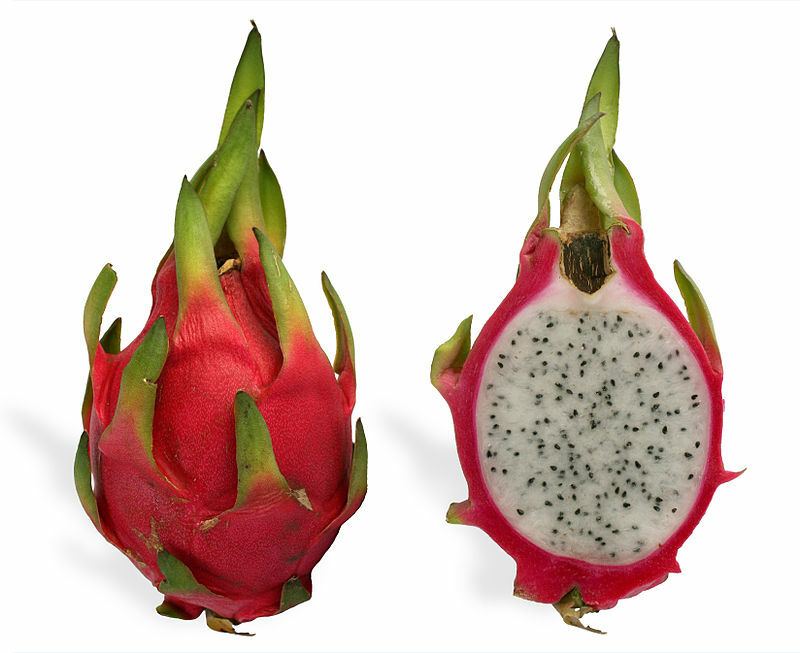 This is the most commonly seen dragon fruit. 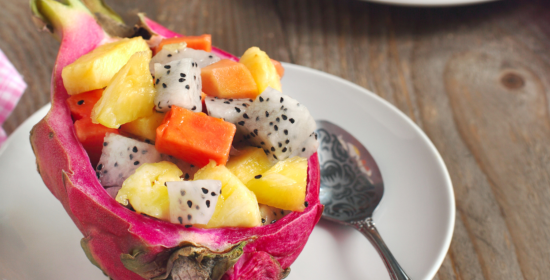 Dragon fruit are very common in Asia but you won’t find them often in the West, although popularity is increasing. They’re touted for their health benefits, but they don’t appear to have much more in the way of nutrients than other more common fruit. I had them first in Hong Kong a couple of years ago and was not hugely impressed. They’re rather bland, in the same ballpark as kiwis. I ended up mixing mine with other fruit in a fruit salad. That works for me.